I never consider I am one of those who would follow viral Facebook post and just go with the hype person, in fact I think I'm that kind of people who seldom follows mainstream stuff. Then one day I saw my friends been sharing this restaurant that sells traditional Chinese dessert and it gone viral like mad! Didn't thought bout it much but my friend Fei asked me to try it out so I was like why not? 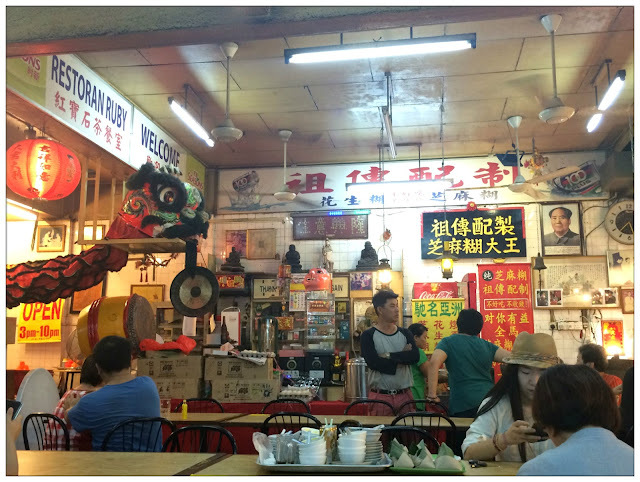 Then there I am, at Pudu's Jalan Kancil having traditional Chinese dessert with my friend. This Restaurant Ruby is famous because of the viral Facebook posts which shows that their recipe handed down generations to generations till today. They are famous throughout asia, and is the Black Sesame Paste King. And what got people's attention is, they claimed that if you don't like their dessert, you don't need to pay. Wowowowowow who do we got here! Me and Fei reach the place around 7pm-ish and I was told that black sesame paste only left few bowls and we have to wait peanut paste to cook which will be done around 9pm-ish. LOL. Since we got not next appointment on that day so we decided to sit and wait till we tried everything! 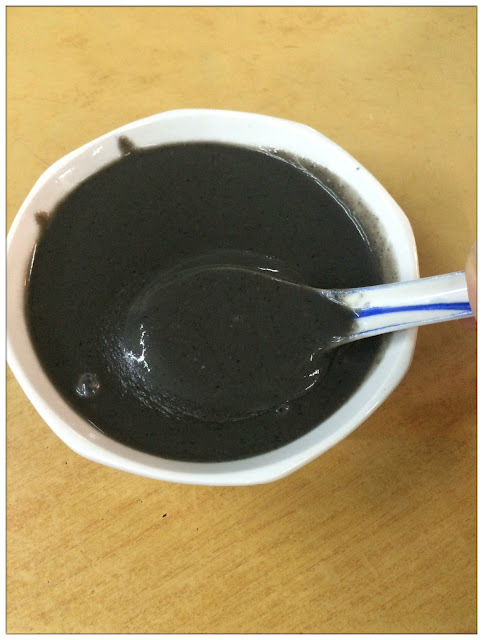 I like black sesame paste for health reason as black sesame is good for our body in many ways, especially strengthen our hair roots and give shine to our hair (although mine is bleached dead lol but it's still growing so I will need nutrients for it either way). It's kinda hard to find black sesame paste in KL city, and I find this bowl of black sesame paste taste mediocre. It is thick, but it doesn't have the aroma of black sesame. Tad bit disappointed because I had high hopes for ancestral recipe. meh. 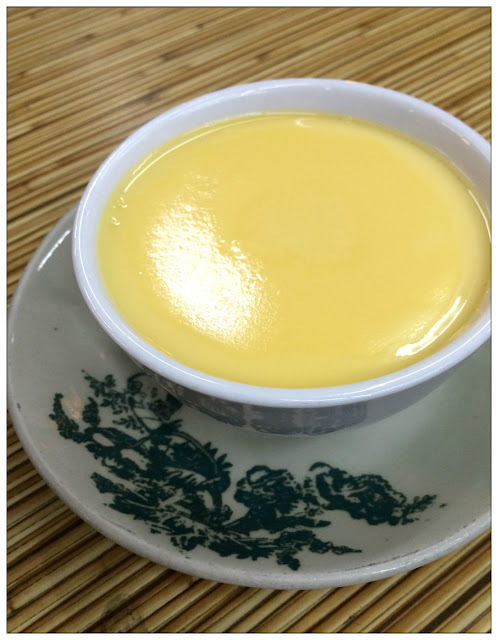 I didn't know they sell egg custard as nobody mentioned this in any post before. The restaurant owner steamed limited amount of egg custard every few hours and if you're lucky you'll get one. It is all about the right timing when it comes to visiting Restaurant Ruby lol. This egg custard gives me weird feeling because I had delicious cold ones before but steaming hot ones is my first time. It tastes sweet, not too milky but smooth. Overall not a bad one I think. 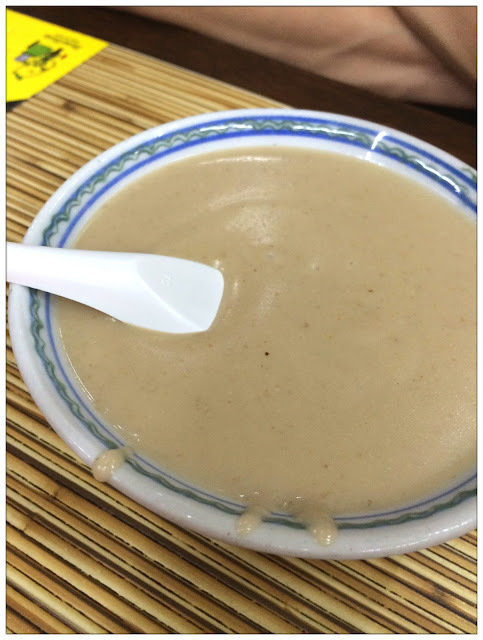 Last but not least, after almost 3 hours of waiting we finally got one bowl of peanut paste. It seems that people who visits this restaurant know when it is to come as when the owner are almost done preparing peanut paste, there's a long queue at the restaurant stretch all the way to the corridor. Most of them bought for takeout and just got some left for dine-ins. I really dislike the taste of this dessert, it just tasted sweet that's all, no aroma nor taste of peanut, big no-no if you ask me but I'm wondering why are people queuing up for this. It wasn't really a pleasant dessert experience but it was a good catch-up session with Fei. To me I guess sometimes the food isn't the point but the people that you dine with, worth the time and made the dining experience a pleasant one.